Recently, the popularity of wireless headsets has been growing as the number of situations where people “play sports while listening to music” increases. Bluetooth is frequently used for communication between smartphones and headsets. However, audio can skip due to communication errors, so countermeasures are required. This is an extremely important point of user evaluation and a difficult issue to resolve. 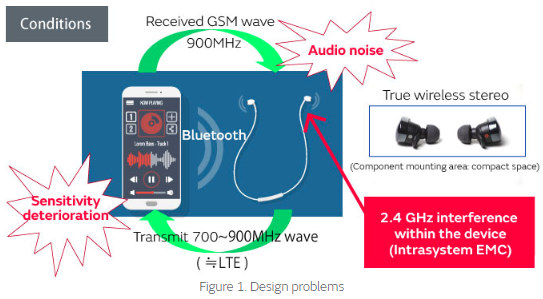 Here we depict an actual case to explain the interference mechanism in the device which causes the audio to skip, and key points for improvement to introduce useful countermeasures for solving the problem. We hope that you will use it as a guide to help your design work proceed more smoothly. 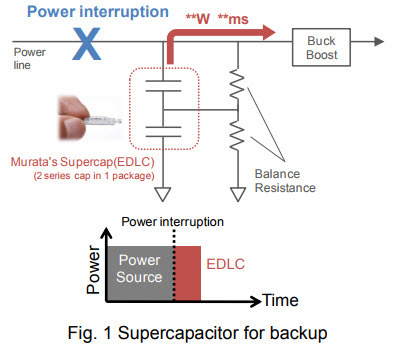 When you consider backup function in your product, Murata’s supercapacitors (also known as EDLCs, Supercaps) are suitable for backup energy device. 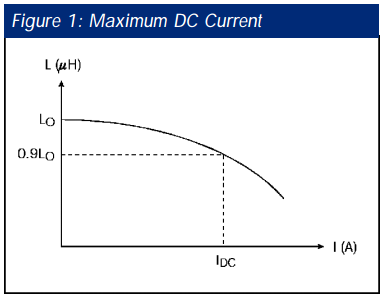 Murata’s supercapacitors can discharge in high power up to 10A. Therefore they can cover wide range of backup function that is from low power for long time to high power for short time. And you can design Murata’s supercapacitors into your slim devices because of the thin thicknesses. In addition, because supercapacitors have longer cycle life than batteries, they have potential for maintenance free. It is oftentimes necessary to attenuate “large” input signals down to a level that more closely matches the input range of a selected meter. 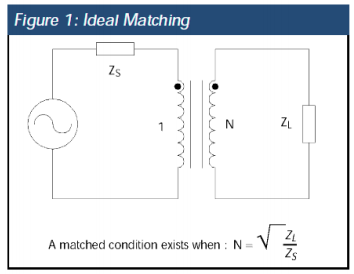 For example, suppose the signal to be measured is 19 Volts, and the input voltage range of the available meter is 2 Volts (the preferred model for any attenuation circuit). Obviously, the “raw” input signal voltage is much too high for a ± 2V meter to measure directly and must first be attenuated. 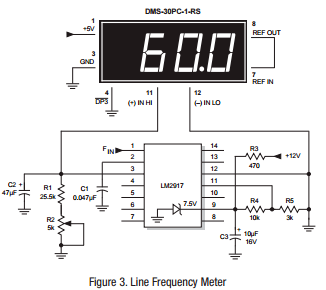 Users of contemporary digital panel meters (DPMs) have a variety of options available to them. While options are nice, they invariably mean more choices have to be made. After determining what meter resolution one requires, the next most basic decision is usually which type of display to use liquid crystal or light emitting diode? Traditionally, liquid crystal displays (LCDs) have been the obvious choice for outdoor/daylight applications and/or for applications requiring extremely low power consumption (current drains less than 15mA). Light emitting diode (LED) displays, with their comparatively low light intensities and relatively high current drains, have been excluded from these more demanding applications. Recent DATEL innovations, most notably the introduction of extremely low-power LED displays, have complicated the once straightforward, LED/LCD decision.